The art supplies box boasts a slogan “Colours in Black”- as everything is housed in a black, lacquered beech wood box. It is equipped with staggering 350 different premium-grade supplies for drawing and painting. 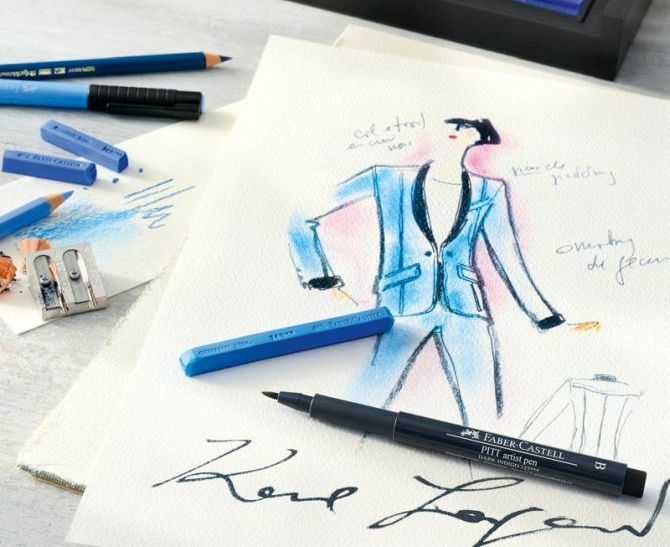 Plus, Lagerfeld’s own personal favorite product line, the Albrecht Dürer artist’s water-soluble color pencils – all 120 shades of them. 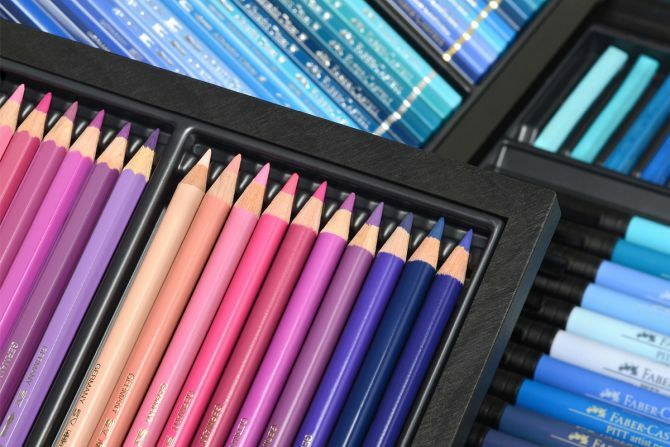 Inside the box, there are several drawers to store art utensils that are carefully arranged by primary and secondary color palettes, ranging from soft pastels to bolder pigmentations, all of which have been handpicked by the couturier. 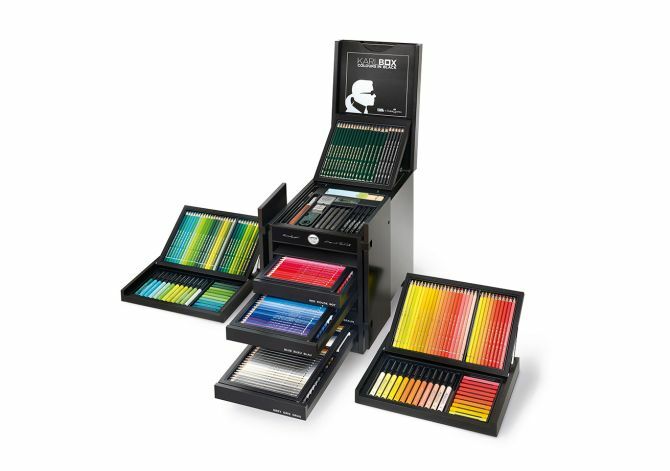 KARLBOX also includes polychromos color pencils, Pitt ink pens, and Castell 9000 graphite pencils along with brushes, a foldable cup, a kneadable art erasers, dust-free art eraser, one sandpaper block, one dual sharpening box Castell 9000, one high-density watercolor brush, and one sharpening knife. It is the most spectacular art supplies kit any artist could have. There are only 2,500 versions of this 16-kilogram box. The limited edition art kit is priced at a cool £ 2,500. However, you’d be sad to know that currently this exquisite art kit has been sold out. 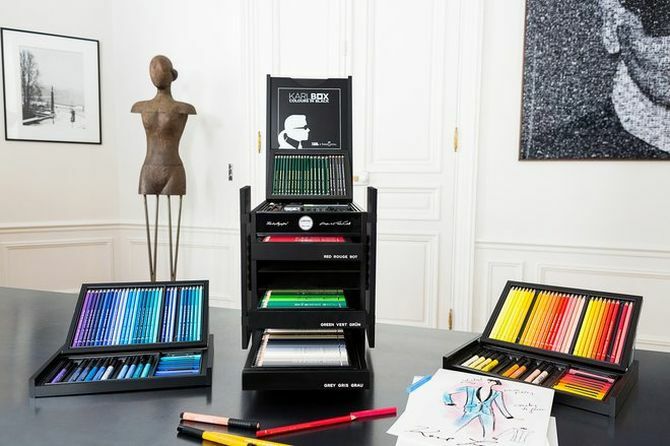 So, we can only hope that Lagerfeld comes up with another edition of such superior quality art supplies.